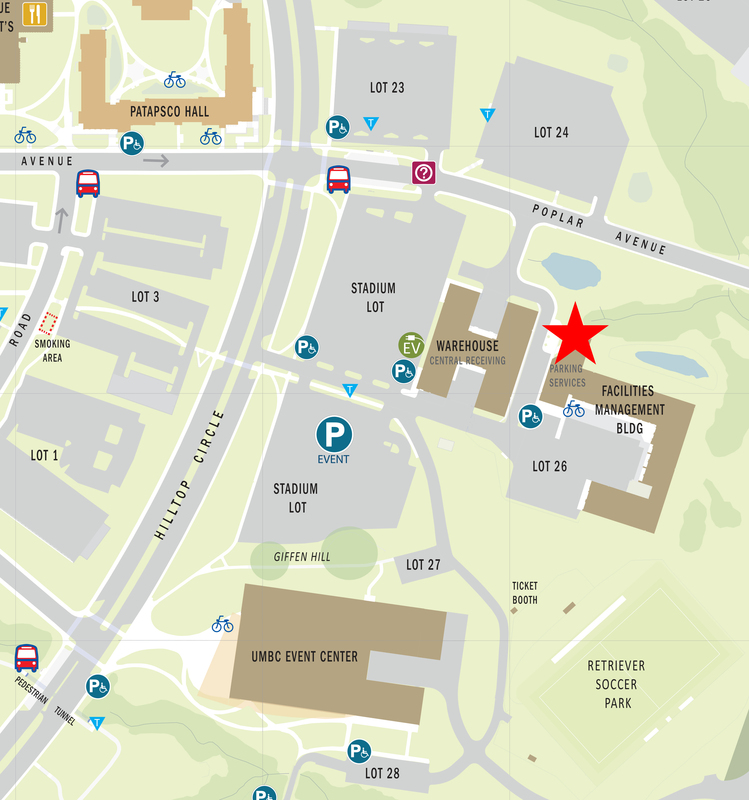 UMBC Parking Services is located in the Facilities Management Building, Room 100. The building is off Poplar Ave next to the Warehouse Building. This office is responsible for issuing permits, managing parking and enforcing campus parking rules and regulations.